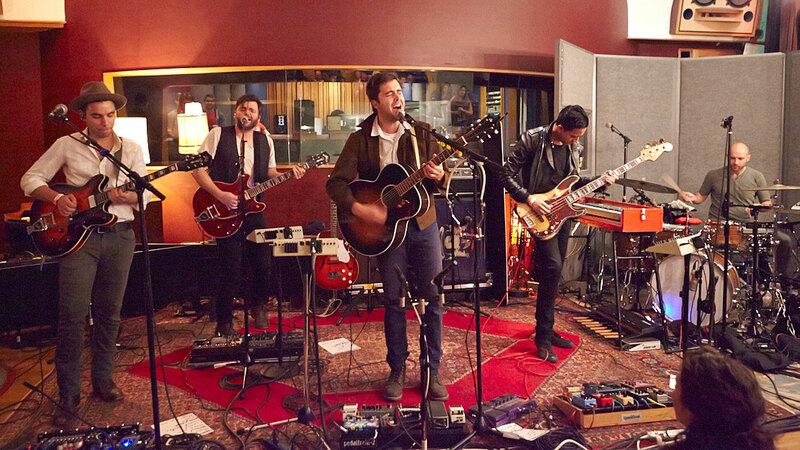 The American indie folk rockers – Lord Huron are a popular group hailing from LA… Their debut album hit the ball rolling back in 2012 and brought songs to the light from, Lonesome Dreams! Released via Iamsound in the US and Play It Again Sam in UK and Ireland in January 2013. "Lord Huron’s entrance is spectacular, with darkness enveloping the big room in SWX as a drummer slips onto stage. A tense drumbeat commences, as other members slide similarly into position. The six figures are littered across the stage with the founder of the band, Ben Schneider, taking centre stage. His figure, framed by the lights behind him, encapsulates his position as commander of this band. The audience are treated to little glances of his face when the house lights infrequently rise, allowing us to see his sweeping fringe and youthful face."